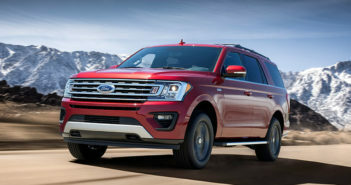 Before you buy a new SUV, sporty car, crossover, pickup or hatchback, read about these 2020 models from Ford, Toyota, Ram, Kia, Nissan and Cadillac. 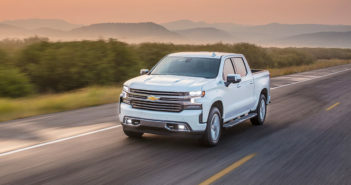 The latest pickup trucks are still rugged and durable and they’re nearly as smooth and comfortable to drive as SUVs. The best new fuel-efficient cars don’t feel or drive like the underperforming, underwhelming gas-sippers of yore. 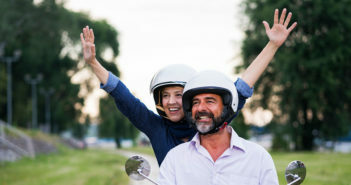 Riders over 40 often prefer bikes that combine the thrills of motorcycling with a measure of comfort and practicality. Here are the best. 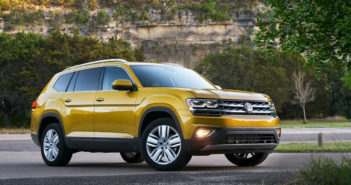 Researchers have made interesting discoveries about which cars, SUVs and trucks are likely to last a long time. Many 1980s collectible cars still can be had for far less than you would pay for a new economy car. 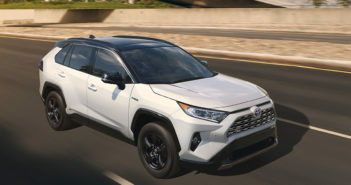 Several redesigns stand out among 2019 model year vehicles. 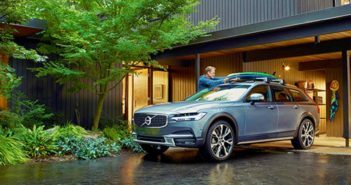 Some new luxury vehicles for 2018 provide sumptuous comfort and the latest driving technology while others offer luxury for less than $45,000. Bottom Line/Personal: What are the best affordable performance cars for 2015? I’m Steven Kaye, Editorial Director at Bottom Line Publications, and today my guest is auto analyst Karl Brauer, Kelley Blue Book Senior Director. If you want a seriously fast car but would rather keep some money in your pocket, you’re in luck. Bottom Line is going to show you some amazing performance bargains. Karl, thanks for coming out. Karl Brauer: Hey, this is exciting. This is one of my favorite categories. Bottom Line: I love this category. With all the focus on gas mileage, there are now some unbelievably powerful and fast cars out there that don’t necessarily break the bank. So let’s talk about those. These are cars that are literally as fast as some racecars from just a few short years ago. Why don’t you get us started by just describing what’s happening with this segment? 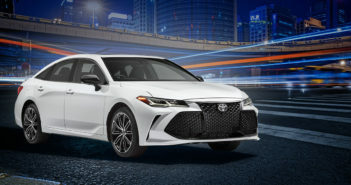 Where is this coming from when there’s so much focus on hybrids and electric and gas mileage, and suddenly you have these cars that are blowing it out, even approaching 200 miles an hour in some cases? Tell us about it. Karl Brauer: We can all thank the gods of technology, because that’s what we’re seeing here, is technology at its best. It’s giving us cars that pull incredible numbers in terms of acceleration and track numbers around racetracks, but they still get good gas mileage and they’re not impacting the larger corporate average fuel economy CAFE (Corporate Average Fuel Economy) numbers that these manufacturers have to worry about. That’s what you can do in 2015. You can design cars that are fast and still relatively fuel-efficient. 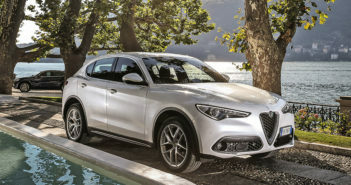 Bottom Line: We’re going to talk about some of the specific models, but just to be clear, these cars – they’re not the least expensive cars you can buy, but many people can afford them, and they are literally as quick as the supercars of a few years ago in some cases – supercars meaning cars in the hundreds of thousands of dollars, or even into the seven figures in terms of quickness. They’re not all that fast, but it’s an amazing segment now. Would you get us started, and let’s start talking about some of your favorites in this segment. Karl Brauer: Yeah, and there’s a lot to choose from, which is great, because there’s a lot of competition out there. But I think one of the ones that everyone is really excited about at this point, hitting its 60-year anniversary, of course, is the Ford Mustang, which is all new for 2015, and it’s got a host of performance enhancements compared to the previous generation. It’s got an independent rear suspension, which is the first time the car’s ever had that in a mass production level; there were some specialized versions that had it earlier. 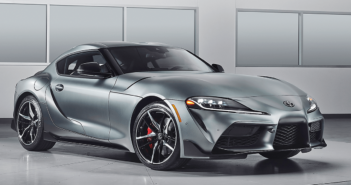 It’s got a 4-cylinder turbocharged option for a performance upgrade. 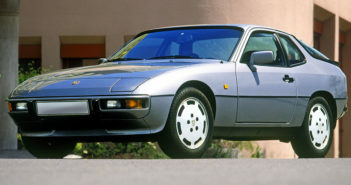 Again, that’s the first time with the exception of the SVO models from the mid-’80s – which were kind of the first effort at this, but honestly, the technology back then couldn’t combine performance and fuel efficiency as well as it does now. So you’ve got this much-improved Mustang that’s just far more advanced. It’s going global, of course. This will be the first generation of the Mustang ever meant to be sold across the planet, not just in North America. There’s going to be right hand drive versions; there’s going to be all sorts of engine options that you’ll be able to get in Europe and China. And I see this car being hugely successful globally, because it’s got this brand that everyone knows, and there’s been plenty of past Mustangs exported from the U.S. by countries and individuals who really love the cars. Now you’ll be able to buy one that’s officially set up for your country across the planet. Bottom Line: As always with the Mustang, not every version of it is blindingly fast. There’s an entry model which drives like a regular car, not like a supercar. As you move up in power, what can you get now with the 2015 Mustang? Karl Brauer: Of course, you can get the 4-cylinder engine that’s going to have turbocharged power but still be very light. 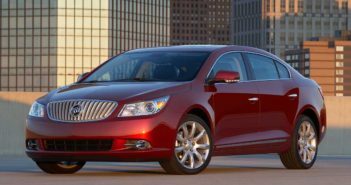 The front end will be lighter than with the larger engine, and good gas mileage. I love the fact that you get a performance version by dropping 2 cylinders, going from the base 6-cylinder engine into a 4-cylinder smaller engine that gets better performance. That’s technology. And then, of course, you can start getting into the GT and the V8 that it comes with and really getting amazing performance. One of the things the Ford engineers were actually targeting was to have the GT version of this Mustang as capable as the Boss 302 version of the last generation Mustang. And that was a very high-performance Mustang. So to have all the GTs – and they’re going to sell tens of thousands of these cars per year – have all those GTs as capable as that very limited-production version of the previous generation Mustang, again, reflects the technology that’s gone into this car and how far they’ve evolved it in one generation. Bottom Line: Are those V8s for 2015, the GTs? Karl Brauer: Yeah, the GTs will have V8s. Bottom Line: Now, the styling redo, not without controversy. Some people would prefer to see a Mustang that looks a little bit more like an older Mustang. What do you think of the styling? Karl Brauer: The styling discussion has been all over the place. My thought, believe it or not, on the Mustang styling, the newest one, is that it didn’t go far enough. I was expecting, given the car’s massive changes in terms of its global reach and its technology, that it was actually going to really evolve. There was a concept car floating around for awhile that it was supposed to potentially pull from that was fairly aggressive and different, but yet it had enough Mustang look to it that I thought it would’ve worked. They actually toned down the level of evolution, in my opinion, from what a lot of people were expecting, myself included. It looks very much like a Mustang. When I first saw it, I was like “Where’s the new one? I see that one.” It doesn’t’ look that different from the last generation, in my opinion. But that’s okay. You know what they have to do is, they have to maintain their current buyer audience without losing those guys while bringing in new people. And you know that’s what they want to do, and that’s why they didn’t want to change it too much. Bottom Line: All right, now let’s move on to your next choice in the affordable performance category: Dodge Challenger. Karl Brauer: Yeah, another historic nameplate. Unlike the Mustang, it hasn’t been made for 60 years in a row; it took quite a hiatus between 1974 and 2008. But it is back. It looks very much like the original generation. I think that’s one of the reasons it sells so well. It’s hard to believe how well Chrysler could translate a Mercedes E-Class platform, really, which is what the LX platform that that car sits on, into a modern interpretation of a 40-year-old car. But they did it. They put it all together, and here we’ve got this Dodge Challenger that really resonates with people who like muscle cars and like the original car. And yet it’s far more advanced; the suspension and the ride quality reflect that kind of advanced Germanic history that it springs from. And of course the newest one, ’15, they’ve just got a bunch of updates they did. They added the 8-speed transmission. All the cars have an 8-speed transmission, which makes them all better performers. You can pull incredible acceleration times from the base V6 8-speed transmission vehicle. It’ll still pull like a 5.9 second 0 to 60, I believe. Bottom Line: And for 2015, they tweaked the styling a bit. In fact, they did away with the iconic full-width rear taillights, but to my eye it looks good. But it still looks like a Challenger. Karl Brauer: It’s very clearly still a Challenger, which is I think important. Similar to what they did with the Mustang, they don’t want to lose any of the current fans of the vehicle. And it’s so iconic. I don’t know what they’re going to do long-term on this evolution, because I don’t think you can change this car and not cost it. The proportions are perfect; I don’t want it to ever change. Maybe they’ll do like a 911 thing and make it look essentially the same for decades. But it’s a beautiful car, and of course, like you said, for ’15 they did some styling tweaks. They did the transmission standard 8-speed across the line. 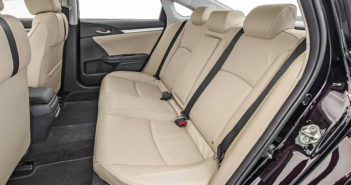 They did substantial interior upgrades, which was really the last remaining weak spot of the car, and they’ve really addressed the interior to make it feel very premium and sporty inside. I think that might be my favorite change they did. And then of course, if you want to spend enough money, you can get a 707 horsepower version of the car called the Hellcat that will do approximately 200 miles an hour top speed and pull performance numbers that are equivalent to multi hundred thousand dollar cars, as you mentioned. Bottom Line: And just so that everyone is clear, that’s 707 horsepower. That’s the SRT Hellcat. Karl Brauer: It’s not a misspeak. 707 horsepower for the SRT Hellcat. Bottom Line: Can you make the rear wheels actually stick to the ground when you’re spooling that up? I drove the Hellcat on the track… still felt a little silly. Still felt a little overpowered for the racetrack that I was on, because you basically start leaning on the throttle, and even if you’re getting traction, you are getting to the next turn so quickly, you could only use full throttle for moments at a time and had to be back on the brakes because it just shot you to the next corner. Bottom Line: One interesting thing about the Hellcat, it comes with two different kinds of keys. Bottom Line: One key gives you the full 707, right? Bottom Line: Another key dials it back, which maybe makes it more drivable for everyday use. Karl Brauer: Yeah, that’s ironic. I was driving in the next lowest horsepower one down, the 485 horsepower SRT8, and that actually felt easier to drive on the track because I could floor it and use all the power without any kind of fear. But the Hellcat was a lot to handle. But that’s what they wanted. They wanted to create an over-the-top, kind of one-of-a-kind vehicle out there, and they did it. Bottom Line: But the Challenger SRT8 with 485 horsepower may be a better everyday car. Still unbelievably quick. Karl Brauer: Right, “only” 485 horsepower. Yeah, it’s a fabulous car. But again, I love the fact that the 6-cylinder is over 300 horsepower and pulls 5 seconds 0 to 60. Bottom Line: Still pretty quick. Karl Brauer: This is a really good full-range performance car no matter which version you get. And again, it’s beautiful. It’s iconic looking. The interior is now completely up to the standards anyone would ever want. It’s a great vehicle. Bottom Line: Thanks very much, Karl.